Diced bananas cooked in a sweet caramel and served with a pineapple, coconut and rum mousse and a crisp brick pastry tuile flavoured with cinnamon. 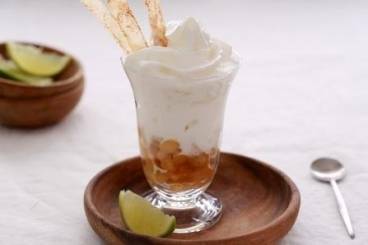 A verrine of banana marinated in lime juice, brown sugar and rum. This is topped with a milk chocolate mousse and a spiced hazelnut crumble. 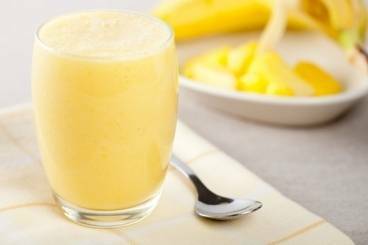 Fresh mango and banana blended with milk and pineapple juice. 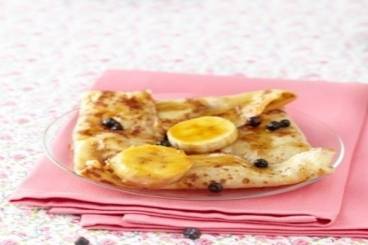 A recipe for crêpes accompanied by caramelised bananas and flambéed with rum. Light and fluffy banana cupcakes served with a cream cheese icing. An indulgent banana and walnut bread topped with caramelised fried bananas and a dollop of clotted cream. A Classic banana cake that will satisfy your sugar craving.